This week on Spellburn, we take the wayback machine to give a recap of the world’s largest gaming convention! 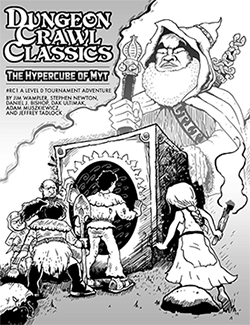 We’ll look at the new DCC RPG releases – or at least that huge Goodman Games Program Guide -and find out more about the DCC events and tournaments that were run. Let’s do a belated Gen Con Wrap-up! Hey folks, it’s awesome to have you back! I live in Louisville and love DCC RPG. What was the guy’s name who was lfg? I just realized that you guys are located near me. I’m on episode 4 and realized the Half Price Books you were talking about is the one near me.